European Parliament Ban On Oxo-degradable Plastics Is A Political Move That Ignores The Established Science. 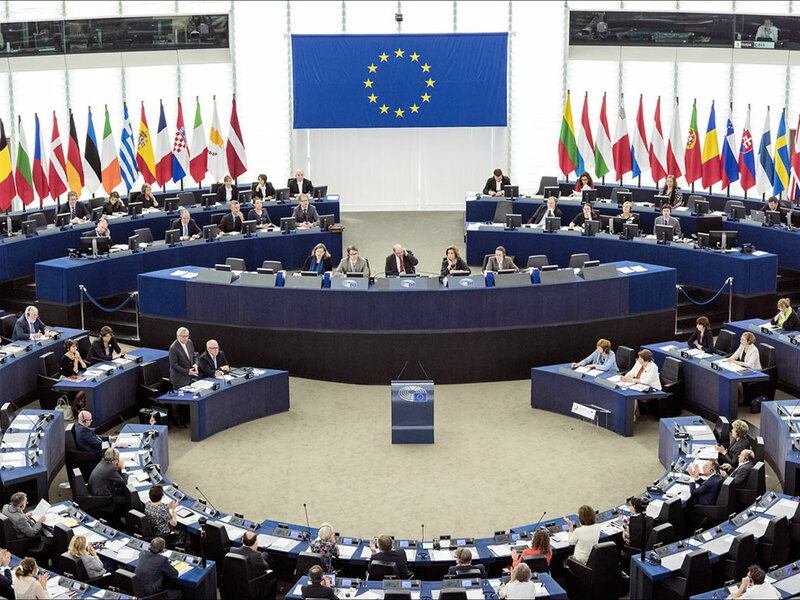 On 27th March 2019 the European parliament voted to ban certain single-use plastics approving a Directive into which oxo-degradable plastics were added in a last minute, politically motivated move. On 28th May 2018, the European Commission submitted a proposal for a Directive on “the reduction of the impact of certain plastics on the environment”, this defined a number of specific waste prevention measures including a prohibition on placing certain products on the market, but the Commission’s proposal did not mention oxo-degradable or oxo-biodegradable plastics, hence no prohibition. However in Oct 2018 oxo-degradable plastics were added to the legislation in spite of the fact that ECHA (European Chemical Agency) was close to completing an investigation into the environmental impact of oxo-degradable plastics requested by the European Commission. ECHA notified their intention to undertake an investigation on behalf on the European Commission into the environmental impact of oxo-degradables and the anticipated submission date of an Annex XV report describing this investigation and any proposed restriction was due by 11th Jan 2019. However we were informed by ECHA on 30th Oct 2018 that they have found no evidence that oxo-degradables form microplastics, and that they had requested an extension from the European Commission to the submission date of the report for a further 6 months in order to complete it. In addition to this, a report commissioned for DG Environment of the European Commission and compiled by Eunomia Research & Consulting in April 2017 regarding the impact of oxo degradable plastics on the environment confirmed that oxo-degradable plastics do indeed biodegrade and that the debate on oxo-degradables should ‘move on’. In Oct 2018 Wells Plastics reached out to Rapporteur Ries in order to engage with the European Parliament to discuss this last minute addition to what was an otherwise important piece of legislation, but received no response or even acknowledgement of our communication about our concerns over the language and scientific inaccuracies – as the leading Technology provider into this sector Wells Plastics were amazed to have its technology essentially named in legislation yet were not allowed to engage to defend it. It is truly ludicrous that ECHA, an “independent” scientific body requested an extension to its investigation as the evidence it had gathered was demonstrating that oxo-biodegradable plastics do not produce micro-plastics; while this Directive was rushed through, by-passing due process and independent scientific conclusions, listing that oxo-degradable plastics should be banned as they result in ‘micro-plastics and do not properly biodegrade’ – both claims contrary to the proper scientific evidence gathered by ECHA and Eunomia respectively. The choice of language in the legislation shows the thorough lack of understanding with wording such as ‘does not properly biodegrade’. Wells Plastics has provided both Eunomia and ECHA with details of its third party independent testing and results which have satisfied those bodies that Reverte™ does indeed biodegrade – therefore Wells Plastics as internationally recognised experts in the field of biodegradable polymers do not understand what is meant by ‘properly biodegrade’ is there an improper biodegradation route? In light of these facts oxo-degradables should not have been included in this poorly drafted legislation as this is clearly contrary to the scientific evidence that the Commission has itself complied. This is why the only conclusion Wells Plastics can reach is that MEPs have chosen to ignore the science and the clear benefits that oxo-biodegradable materials offer to the environment and act based on political reasoning alone.